A question the that gets asked over and over again is 'what tyres are best for my car'? On my 17's I had Avon ZV5s and they were pretty good, gripped in all weather but got hot quite easily on a good run so you started to get the floaty feeling. On my 18's that I am running now I have Avon ZZ5's, they feel so much better! Great cornering grip, no overheating and now with this rubbish wet weather the grip is still there :). Wearing evenly so far as well. Think they cost about £90 a corner. ​I don't buy tyres with wear rate in mind or noise, just how much grip they will give me for the price. These are about as good as Ive ever had and see a lot of people using them too. Grip in dry is outstanding, hard to unsettle them and consistent in braking phase. Still comfortable even though they might be classed as 'low profile'. Wet grip is good although I don't tend to push the boundaries in those conditions. Ive just swapped these off for Goodyear winter tyres so will give a review later after running them for a bit. £348 for the set as I fit and balanced them myself in the garage I used to work at Michelin were giving out £75 fuel cards at the time too for when you bought 4 tyres from so it was very much worth it! Will most likely be buying these again from gaining a lot more confidence at higher speed in my blob with them! different tyre or stick to the dunlops. Also best place to purchase around Manchester area. I would buy online from somewhere like Oponeo or Tyreleader and get fitted at a local place. I've saved a reasonable amount of money over the years. 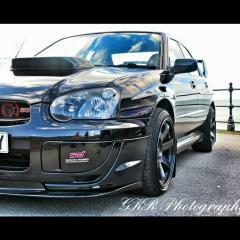 I have a new STi and will most like be going with Goodyear Eagle AS 2's or new 3's as per previous recommendations. Thanks I'll for the advice. I'll take a look at the goodyears and get the prices online. Decided on the Dunlop sport maxx as couldn't decide between these and the Goodyear,s. Local fitter have offered a good price so went with them which also saves any hassle having to arrange fitting etc. Got 13k out of these current tyres driving on a mixture of road types but new job means 60 miles of mainly back country roads each day which is great for driving but can see me going through tyres much quicker. Although will be switching to winter tyres this year as summer tyres and hills didn't really go that well when the weather turned. I went for Vredstein Ultrac Vorti's when I brought the GT1's after I read a great write up on Auto Express. They have been epic, grip really well in the wet and they lasted over 15k. I find these tires to be excellet and being comparable to expensive ones, weve done about 8k miles on them now mayby a bit more. Cheers@stants I think k I've decided on Goodyear eagle f1 3s when the time comes. Can't complain at that sort of value! I've had them on other cars and never really been inspired, I liked the good years but obviously let them go with the 16"